Two treatments, one day. During the course of daily radiation treatment, I was still receiving Herceptin infusions every three weeks. (The port where the chemo goes in is implanted under my skin covered by the bandage.) 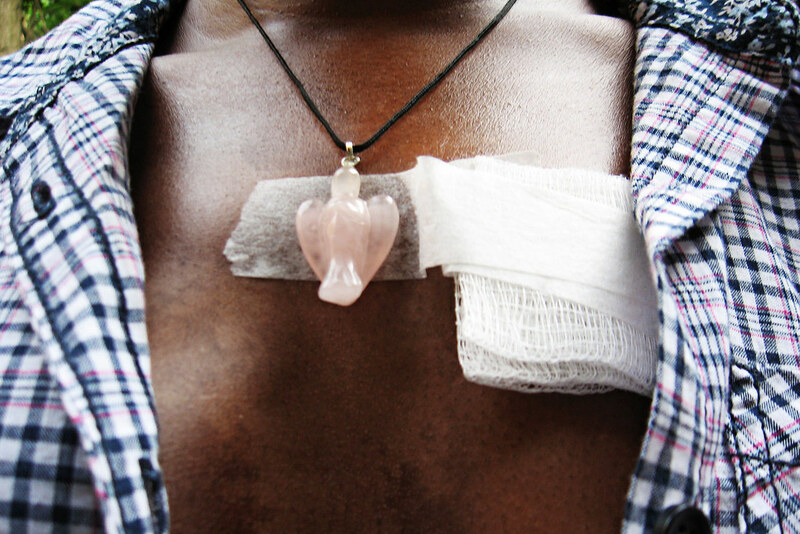 When I came home and undressed, I noticed the angel pendant I wore that day against the white bandage against my darkened skin. I was in pain from having my port accessed and from the skin burns, but I truly felt an angel's touch. I believe angels traveled with me through the journey that is breast cancer and its treatment.